We previously broke the news to our respected readers of a low-level bootrom exploit which would enable jailbreaking on iOS 4.1 and beyond with all versions of the iPod touch, iPhone and of course, iPad! This exploit was special in a way because Apple will not be able to patch the exploit with a software update, instead it will require Apple to release entirely revised hardware for iPhone, iPad and iPod touch and we all know that we are at least 6 months away from any hardware revisions. Word around the Twittersphere is that the exploit named SHAtter is in the bootrom section, together with Pwnage 2.0 and 24kpwn which will make all existing devices, including the new iPhone 4 and iPod touch 4G pwned for life! It is obviously not publicly available yet, both the Chronic Dev Team and the iPhone Dev Team hackers are hard at work right now trying to get everything ready for full release. Unfortunately though, this jailbreak is reportedly said to be tethered i.e. you will be required to connect your iOS device to your computer on every reboot unlike how untethered userland jailbreak like JailbreakMe worked. 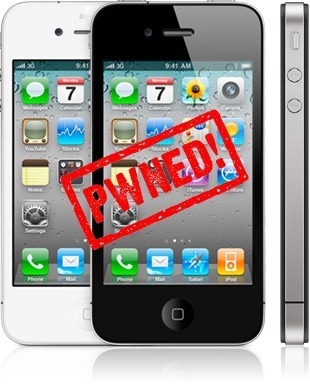 iPhone hacker posixninja has confirmed that Geohot also had this exploit dubbed at that time as “pwned4life” before leaving the jailbreak scene. We will of course let you know whenever these new jailbreak and unlock tools for iOS 4.1 are available for download. Stay tuned! Awesome!!! That is freaking awesome! What exactly do you mean by Tethered? It won’t be like JailbreakMe or it will be like Spirit? I hope you don’t mean Blackra1n by tethered. Wait, tethered as in you have to plug it in to the computer to exploit the iPhone once or tethered as in every time you turn on the iDevice you have to plug it in and rejailbreak it. All past jailbreaks that were tethered had to be plugged in every power cycle. You mean if your phone freezes up and you are out and about you cannot reboot it safely? What happens if you’re out and your phone crashes and reboots itself (which has happened while ive been running with my iPhone 4)? Not sure id be so keen to upgrade to this type of jailbreak, its got to work and function like a normal phone really. A friend of mine has an iphone 4 with ios 4.02 two days ago it stopped working and since he did not save his shsh I was unable to install any IOS on it except 4.1. Does this mean his iphone is doomed and can never be unlocked? does apple have the power/right/ability to release a quick fix that will brick any phones using this jailbreak? It’s means we can’t remove the jailbreak thru restore ? I’m disappointed. Geohot’s bootrom exploit was supposed to be untethered. Where got FOREVER?!?!? The world FOREVER is very big. Already said once IPHONE change the hardware the JB wont work..
Tethered for every reboot? Doesn’t sound like a satisfactory solution, particularly since a great many jb apps require a reboot upon installation. First of all. A BOOTROM EXPLOIT CANNOT be tethered. If it’s tethered then it’s not a bootrom exploit. It’s that simple.